The final module of my Fall 2017 course, Games Design as Cultural Practice, asked students to design a game that responded to, attempted to solve, or otherwise explored a contemporary problem plaguing the world on a national or global scale. Inspiration games for this module included Papers Please (a game about the paperwork and bureaucracy involved in crossing / "protecting" borders), Superbug (a game about controlling the spread of bacteria by distributing and researching antibiotics), and Fate of the World (a game about saving the world from climate and related disaster). Seeking to improve on the design, mechanics, and logic of Superbug, one student, Kartik Kini, designed Containment, a game now available on Steam and supported by Kartik's indie game development company, Finite Reflections. 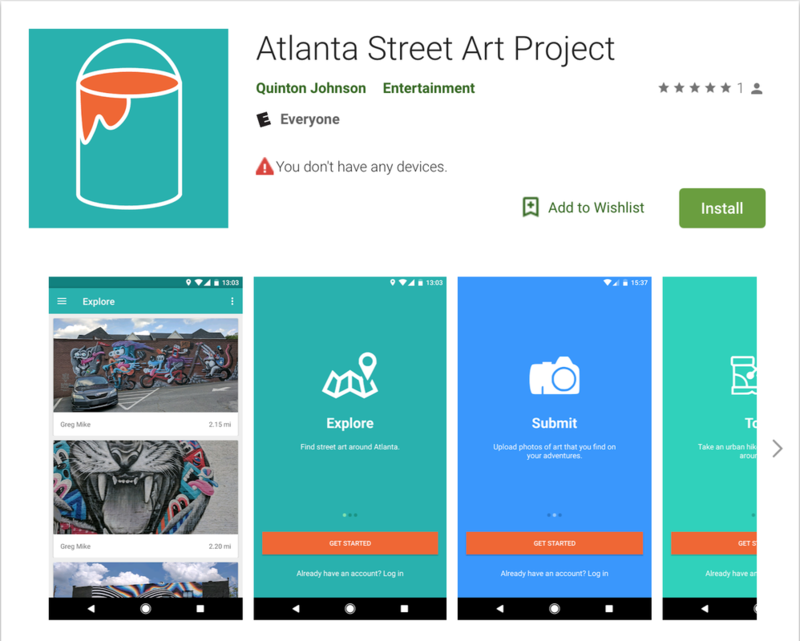 In addition to teaching the technical communication components of the Junior Design Software Development course at Georgia Tech, during the 2016-2017 academic year, I led two student teams in the production of an Android app, The Atlanta Street Art Project. The app crowdsources instances of street art throughout Atlanta, with the goal of both cataloguing this practice, and generating maps and tours of this vibrant culture. One of these applications has reached completion, and is downloadable via the Google Play store.